There is really an overabundance of sterile and formulaic indie music out there, a lot of which pretend to be minimal and deep but on repeated listens sound little more than lazy and almost unfinished. There really is a fine (and difficult to spot) line between fantastic indie music that does more with less and its more mediocre counterparts that do absolutely nothing with less and could do with more substance in the songwriting and soundscape department. 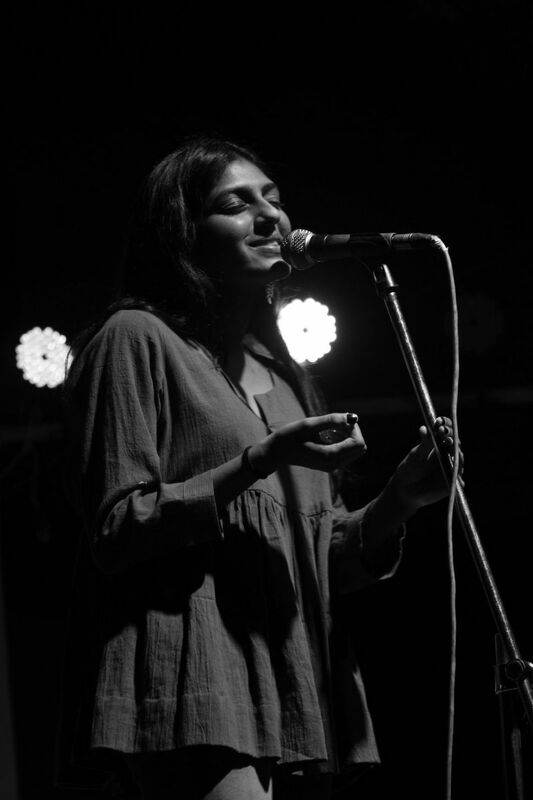 Meera is a singer-songwriter (yes, yet another one) based in Ahmedabad and raised in New York that recognizes this to some degree. You can’t just pass off a lack of effort as emotional depth and minimalism, and this EP has the good sense to at times respect that. Make no mistake, though; this is an indie EP through and through; it has the sensibilities that come with the genre. The subject matter covered here is tooted in human emotions and imagination. The instrumental palate consists mostly of acoustic guitar and Meera’s voice (which often sits on a bed of harmonies and layers). There are bits of drums, textural elements and electric guitar too, they’re kept pretty dry-sounding to maintain the quiet, hushed aesthetic a lot of releases like this strive to have. Over the four tracks on the EP, this decision seems to work, in no small part to the fact that Meera is a very, very strong vocalist. She is undergoing training in Hindustani music, and it shows; not in the lack of experimentation and genre-hopping on here, but in the general control and ease of her delivery. Even though there’s no crazy vocal gymnastics on ‘I’ve Never Been Happier To Be Lost’, there are parts where songs could fall into the ‘trying too hard’ trap; her vocals rescue these situations by being breezy and familiar, as if she is simply sitting down and telling her story. Which she is. The structure of the EP is where Meera makes all the right decisions. It starts and ends on a bittersweet note, which leaves the listener wanting to hear more of her story. It’s short; a long album would have ruined the experience. ‘Divine’ starts off the release and is probably the most poppy cut on here; it’s a very simple and restrained melody with some awesome singing throughout. There’s a current of being unsure and being a fish out of water but accepting it and carrying on, and the second half of the song speaks to the darker parts of that sentiment. It’s a slick change of pace and saves the song from being overly preachy. ‘Salt’ is a much more lonely and dark cut. It’s a song driven by very dry drums, cold bass and acoustic guitar that is held back in the mix. It has a slightly unsettling vibe to it and the narrative about being lost at sea is made to sound like the frigid, thankless experience it is. There is a very lonely violin that handles main melodic duties for a lot of the song, but the jazzy, free-form vibe that sits behind the melody and Meera’s vocals sound a bit out of place. The warm, familiar ‘Homes’ does a far better job of supporting her tale of not finding her hearth, so to speak. The backing instrumentation is filling and the most appropriate soundscape on the EP. The electric guitar and bass flourishes are perfect and Meera does even less than she does on other tracks vocally; she keeps it simple and it works really well. The idea of loneliness and forlorn confusion she explores on the track are conveyed with flair. EP closer ‘Distance’ goes back to the beginning of the release and allows Meera to tell her story simply, with acoustic guitars, bass and the folksy, rootsy vocal inflections she seems to be most comfortable with. There’s a hopeful note to this track that shines brightly in the otherwise cloudy mood of the song and EP and is a smart way to close things out. It seems extremely easy these days to simply pick a lane, allow yourself to be limited by your genre and not take risks. 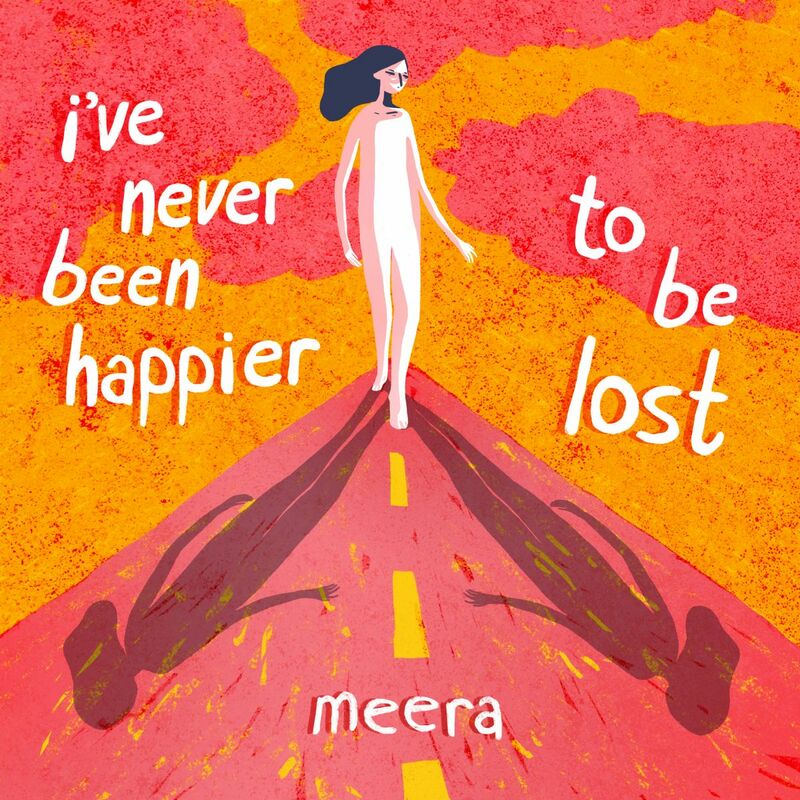 ‘I’ve Never Been Happier To Be Lost’ tries to toe the line between the spoken word and poetry-inspired form Meera explores in her lyrics and delivery, the simplicity of songwriting she explores in her indie influences, and the freeform-ness and playfulness some of the backing instrumentation explores in the jazzy, poetry-supporting department. Even though they prop each other at many points throughout the album, there are places where seem glued onto each other and thus end up taking more away from the overall experience and being less than the sum of their parts. Nevertheless, the idea on this EP is to tell a story, and in that regard it is a breeze.